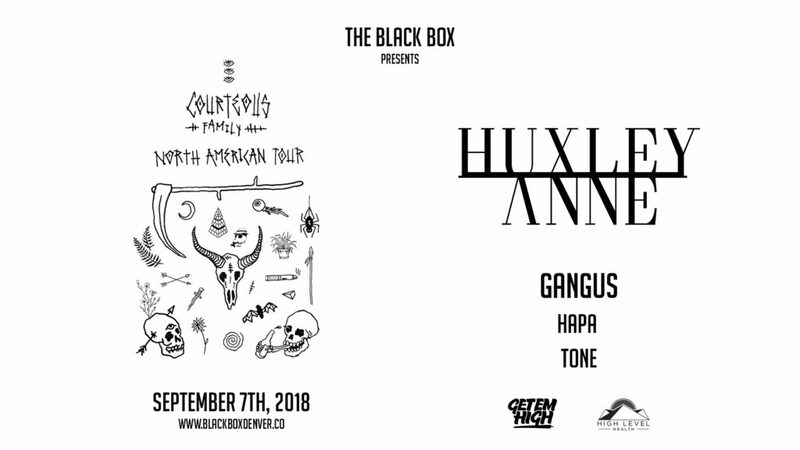 The tour will be stopping at The Black Box in Denver with the city’s own Gangus, as well as Huxley’s fellow LA fam Hapa and Courteous Tone to round out a diverse but cohesive line up of dark dub, lo-fi, and experimental hip hop that’s certain to bang hard in the Black Box’s one of a kind Basscouch sound system. Check out Ilium below to get a taste of what you might hear during Huxley’s set and get familiar with the Courteous Family sound before the show. Get tickets at www.blackboxdenver.co now while you still can!